When you walk into a casino, every inch of what you see around you will be inviting you to keep moving forward. All the color schemes, flower arrangements, sounds and lights are created in a way that will be moving you forward. If you are not prepared for this, you may get overwhelmed and disoriented. 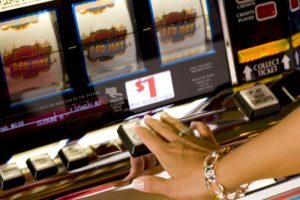 The plan that every casino designer has, is to bring you as close as possible to the slot machines and table games. The world of gambling is very seductive and makes it hard for people to resist it. While some people choose to experience negative feelings and convince themselves that designers created all of what they see inside a casino to make money, you should not let thoughts like these turn you off. Instead, embrace them. Knowledge is power everywhere, including casinos. When you understand the psychology of a casino, and get to know the employees that are there to help you, your visit will be more pleasant. Also, casinos just look too good and offer too many ways of entertainment to feel negative about them. Enjoy what you see and experience. You won’t often see designs, colors, and furniture that you will see in a casino, so enjoy them and do not be negative about them. When you are in a pleasant, relaxed stated, you will also be able to think better and act strategically, which will allow you to win more. Succeeding with gambling is possible, but you do need to have awareness and critical thinking skills in order to win. Your mission should be to educate yourself before you enter a casino. Once you do, treat your first visits as fun learning and entertainment experiences. This way you will be more likely to make sound, reasonable and rational decisions when it comes to the games you choose to play, and the ways you play the games.